You want to get the most out of your workout — without sacrificing most of your day. And you want an indoor cycle that's easy to use, durable and as performance-focused as you are. This affordable indoor cycle features freewheel gearing, and allows you to quickly adjust all geometries necessary for creating the perfect fit. Its precise resistance control allows for a highly effective workout while the dual bottle carries keep you hydrated for the long haul. Four points of micro-adjustment to duplicate the fit of your outdoor bike. 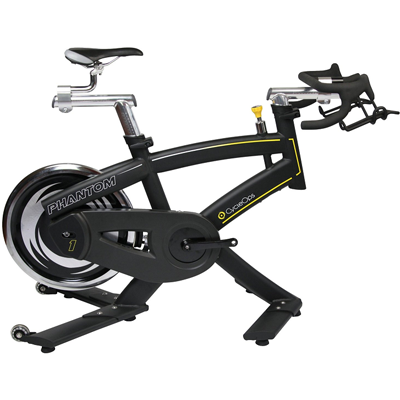 Buy CycleOps Phantom 1 Indoor Cycle - FREE SHIPPING!